Just a few short years ago, having “conversations” in human languages with machines was pretty much universally a frustratingly comedic process. Today that has changed. While natural language processing (NLP) and recognition is far from perfect, thanks to machine learning algorithms it’s getting increasingly closer to a point where it will be harder to tell whether we are talking to a human or a computer. Business has capitalized on this, with increasing numbers of chatbots deployed, usually in customer service functions but increasingly in internal processes and to assist in training. At ICLR 2018 in Vancouver, Salesforce’s chief scientist, Richard Socher, presented seven breakthrough pieces of research covering practical advances in NLP including summarization, machine translation and question answering. He told me “NLP is going to be incredibly important for business – it is going to fundamentally change how we provide services, how we understand sales processes and how we do marketing. Of course, this raises some issues, and one of the most glaring is, do people really want to talk to machines? From a business point of view it makes sense – it’s incalculably cheaper to carry on 1,000 simultaneous customer service conversations with a machine than with the giant human call center which would be needed to do the same job. But from a customer point of view, are they gaining anything? Unless the service they receive is faster, more efficient and more useful, then they probably aren’t. “I can’t speak for all chatbot deployments in the world – there are some that aren’t done very well,” says Socher. Key to achieving this efficient use of NLP technology are the concepts of aggregation and augmentation. Rather than thinking of a conversation exclusively taking place between one human and one machine, AI and chatbots can be used to monitor and draw insights from every conversation and learn from them how to perform better in the next one. And augmentation means that the machine doesn’t have to conduct the entire conversation. Chatbots can “step in” for routine tasks such as answering straightforward questions from an organization’s knowledge base, or taking payment details. In other situations, the speed of real-time analytics available today means that bots can raise an alert when they detect, for example, a customer becoming irate – thanks to sentiment analytics - prompting a human operator to take over the chat or call. Summarization is another highly useful function of NLP, and one which is likely to be increasingly rolled out to chatbots. Internally, bots will be able to quickly digest, process and report business data when it is needed, and new recruits can quickly bring themselves up to speed. For customer-facing functions, customers can receive summarized answers to questions involving product and service lines, or technical support issues. Chatbots are a form of the ‘intelligent assistant’ technology which powers Siri or Google Assistant on your phone, or Cortana on your desktop. Generally though they are focused on one specific task within an organization. One study found that 40% of large businesses have implemented this technology in some form, or will have done so by the end of 2019. Among those, 46% said that NLP is used for voice to text dictation, 14% for customer services and 10% for other data analytics work. 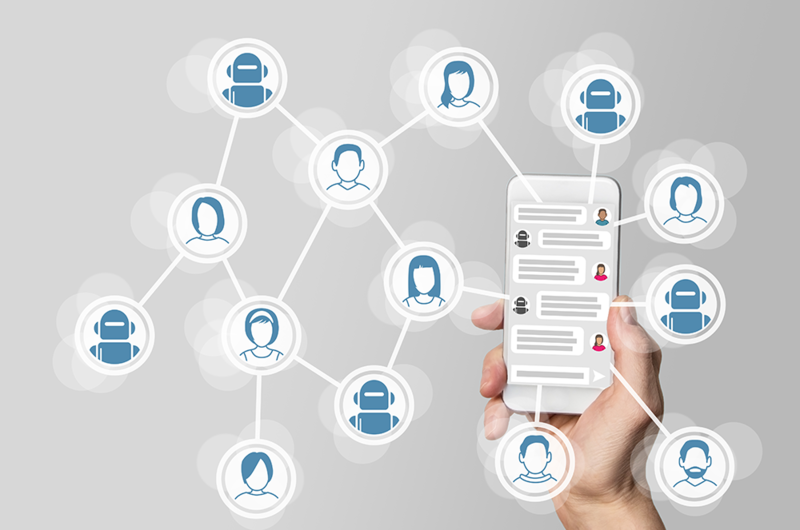 Chatbots are also increasingly ubiquitous in collaborative working environments such as Slack, where they can monitor conversations between teams and provide relevant facts or statistics at pertinent points in the conversation. In the future, chatbots will probably be able to take things even further and propose strategy and tactics for overcoming business problems. Another example could be customer service bots which can allocate resources to dealing with customer cases based on the classification and sentiment analysis of the conversations they are having. As with all AI, development of NLP is far from a finished process and level of conversation we are able to have today will undoubtedly seem archaically stilted and unnatural in just a couple of years’ time. But today, organizations are clearly becoming more comfortable with the idea of integrating chatbots and intelligent assistants into their processes, and confident that it will lead to improvements in efficiency and customer satisfaction.